After a year at the University of Alaska Anchorage, Joe Frankl was ready for a change. So he took “a bit of a blind leap” and moved to Arizona. As he completes his bachelor’s degree in psychology from ASU’s New College of Interdisciplinary Arts and Sciences, Frankl is set to spend a year in the Post-Baccalaureate IRTA (Intramural Research Training Award) Program at the National Institute of Diabetes and Digestive and Kidney Diseases, part of the National Institutes of Health. He also will complete the application process to start medical school in the fall of 2014. 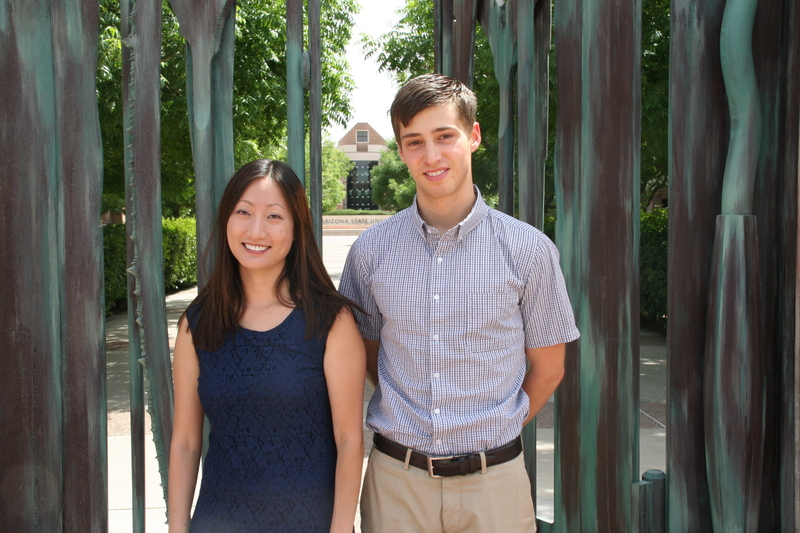 “Joe is an outstanding scholar who is deeply committed to applying his education in ways that will help others,” said Deborah Hall, assistant professor of psychology in New College, the core college on ASU’s West campus. Hall served as Frankl’s faculty advisor for his senior thesis through Barrett, The Honors College. “I carried out what is known as a vignette study – where participants read a short narrative and respond to a series of questions about the character – to analyze the differences in perceptions and stigma towards individuals with major depressive disorder and alcohol dependence, and to see whether thinking of a disorder as physiological rather than psychological in nature affects perceptions and stigma,” Frankl said. Results of Frankl’s honors project showed differences in attitudes toward alcoholism versus depression. Frankl’s ability to design, carry out and report the results of a research project was developed through his New College experiences. Under Hall’s guidance he participated in the New College Undergraduate Inquiry & Research Experiences (NCUIRE) program, which pays students a stipend to conduct research in collaboration with faculty. He served as a research assistant in Hall’s lab, the Identity and Intergroup Relations Lab. His wide-ranging interests also led Frankl to volunteer in the analytical chemistry lab of Thomas Cahill, another New College faculty member. “Having the chance to work directly with professors raised the standard I set for my own work,” Frankl said. “These interactions positively affected how I approached all of my coursework. Participating in psychology studies opened my eyes to how much work goes into creating the elegant theories presented in textbooks. “And my work with Dr. Cahill gave me an understanding of what it takes to generate new scientific knowledge. Learning new laboratory techniques and using them in a method development trial is experience that I hope will make it easier for me to carry out research at the NIH and as I progress through medical school and residency,” he said. Frankl also found time to volunteer in the Banner Thunderbird Medical Center Pediatric Emergency Department and in a tutor/mentorship program for youths in the foster care system through the nonprofit organization Arizonans for Children. As for the exact path he plans to follow in the medical field, Frankl is keeping an open mind. Arizona State University is among 21 schools named on The Princeton Review's "Green Honor Roll," which recognizes colleges and universities for leading the way in sustainability. Arizona State University is among 21 schools named on The Princeton Review’s “Green Honor Roll,” which recognizes colleges and universities for leading the way in sustainability. 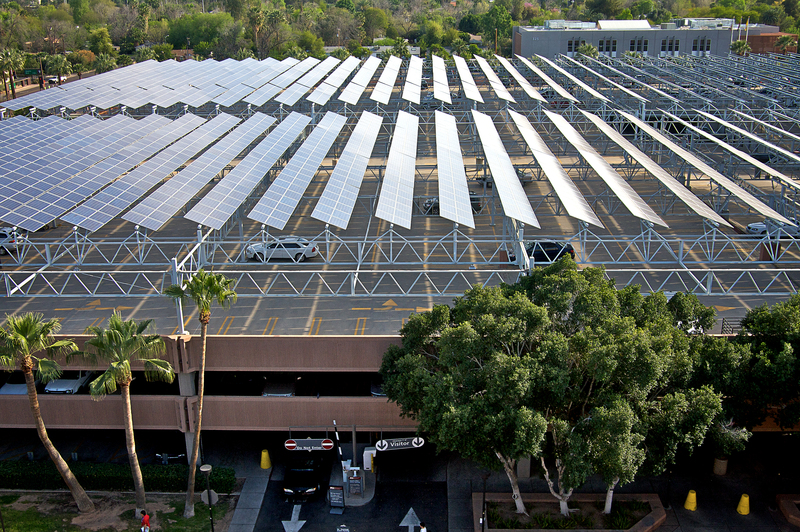 The university was noted for, among other things, having the largest collection of energy-producing solar panels at a public university; its pursuit of complete carbon neutrality; its numerous LEED award-winning buildings; and its online journal, The Sustainability Review, which is edited and published by graduate students. ASU also is working on implementing a campus-grown food program and subsidizes the U-Pass, which offers unlimited rides on area buses and light rail. The schools on the list received the highest possible score (99) in the Princeton Review’s Green Rating tallies this year and appear in the guide, 322 Green Colleges: 2013 Edition. This one-of-a-kind resource – which is published in partnership with the U.S. Green Building Council (USGBC)'s Center for Green Schools – is the only free, comprehensive guide that focuses solely on colleges that have demonstrated a strong commitment to the environment and to sustainability. It is available at the website http://www.princetonreview.com/green-guide. Criteria for The Princeton Review's Green Rating cover three areas: whether the school’s students have a campus quality of life that is healthy and sustainable; how well the school is preparing its students for employment and citizenship in a world defined by environmental challenges; and the school's overall commitment to environmental issues. The institutional survey for the rating included questions on energy use, recycling, food, buildings, and transportation, as well as academic offerings and action plans for reducing greenhouse gas emissions. The Princeton Review developed its Green Rating with ecoAmerica, a non-profit environmental organization, in 2007-2008. "Each of our 377 best colleges offers outstanding academics," says Robert Franek, the book's author and Princeton Review senior vice president and publisher. "We don't rank them 1 to 377, because they differ widely in their program offerings and campus culture, and that is their strength. Our goal is not to crown one college 'best' overall, but to help applicants find and get in to the college best for them."